There are many books on railway history, but few publications on how railways were constructed. 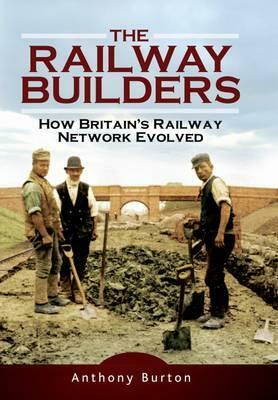 Railway Builders tells the remarkable story of how the promoters, engineers and contractors worked together to build the national network. It is also the story of the extraordinary army of men who did the hard, physical work the railway navvies. These itinerant workers lived rough and were capable of immense feats of physical strength as they dug their way from one end of the country to the other. There are many familiar names here, such as George and Robert Stephenson and Isambard Kingdom Brunel, but the book also looks at many lesser-known engineers and the great contractors, such as Thomas Brassey, who employed an army of navvies as large as the regular armies of some countries. This is a tale of how such great works of engineering, like the Forth Bridge, were constructed but also of disasters, such as the collapse of the Tay Bridge.